Jean-Marie Le Pen, the former leader of France’s National Front, will find out if he is to lose his post of honorary president after a series of inflammatory remarks and a protracted feud with his daughter, Marine Le Pen. National Front President Marine Le Pen said on the eve of the far-right party’s board meeting that her father should “no longer be able to speak in the name of the National Front”. 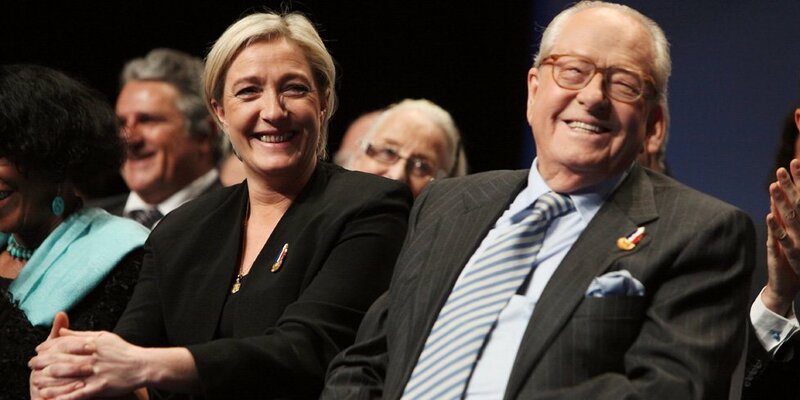 Jean-Marie Le Pen founded the National Front (FN) in 1972 and led it until 2011. Marine Le Pen has tried to steer the nationalist party away from its racist and anti-Semitic past. The party’s executive was meeting on May 4 in Nanterre near Paris to decide what action to take after Jean-Marie Le Pen repeated his assertion that the Nazi gas chambers were a “detail of history”. As well as reviving an old anti-Semitic slur, Jean-Marie Le Pen told far-right newspaper Rivarol last month that he had never considered France’s wartime collaborationist leader Philippe Petain a traitor and labeled PM Manuel Valls an immigrant. It is unclear what penalty the FN’s disciplinary board could impose on Jean-Marie Le Pen, 86, and still a Euro parliamentarian. Among the options is his total exclusion from the FN, although some French commentators suggested Jean-Marie Le Pen could be more of a risk outside the party than if he were contained within it. Marine Le Pen was adamant in a broadcast interview that she wanted her father out of the political picture. “What I wish is that the FN will no longer be taken hostage by provocations that are now becoming recurrent on the part of Jean-Marie Le Pen,” she said. In her interview on May 3rd, Marine Le Pen said she had the feeling that her father could not bear the thought of the party continuing to carry on without him as leader. Although Jean-Marie Le Pen was sidelined from the party’s traditional May 1st march on Friday, he took to the stage in defiance while his daughter was delivering a speech. Last month, in the face of widespread party opposition, Jean-Marie Le Pen abandoned a plan to lead a party list in regional elections in southern France. The FN has made significant political strides since Marine Le Pen took over the leadership from her father, attempting to sweep away its extremist image but maintaining its anti-immigration policies. Marine Le Pen is aiming to make the run-off vote for the French presidency in 2017.